Now that you are here in the City of Smiles, you might want to dine in some of these finer Bacolod restaurants and cafes. 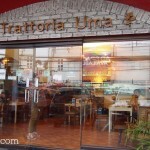 We do not really have those formal, fine dining restaurants, but these ones are the more upscale in our neighborhood. Anne Bistro is one of the newest homegrown restaurants to open in Bacolod. 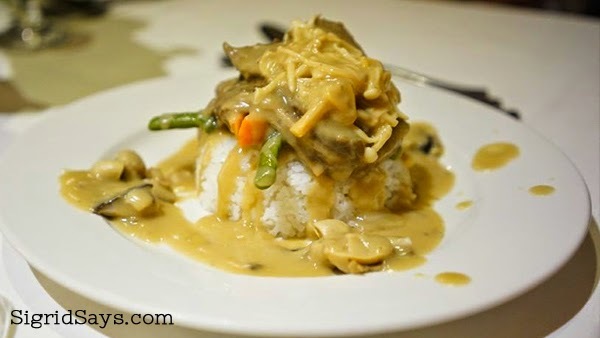 They serve international fusion dishes and you can read more about them in my post, Anne Bistro: Bacolod Restaurant for Fine, Leisurely Dining. They are located at cor. 12th-Aguinaldo Sts., Bacolod City, open from Tuesdays to Sundays, from 11am to 10pm. They are closed on Mondays. Function rooms available for small gatherings. For reservations Tel No. (034) 445-4415, (034) 453-0778, and (0915) 5636973. Sunday Brunch by Anne Bistro also available. 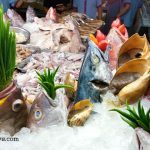 At the L’Fisher Hotel, they have an eat all you can buffet dinner every weekend — Friday, Saturday, and Sunday. The dishes differ based on the theme–from entrees to desserts. The buffet is P599 to P699 per head, including drinks. Located at 14th-Lacson Streets, Bacolod City. The buffet is open from 6pm to 10pm. Offerings may vary daily. 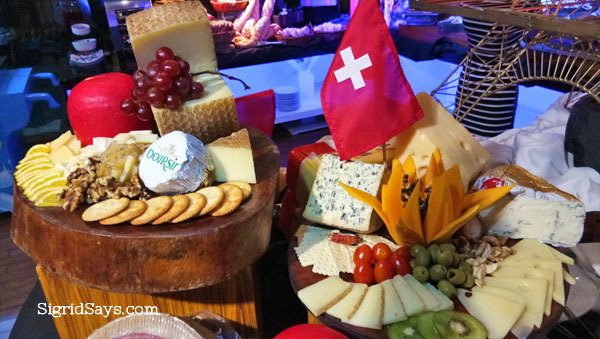 Cheese and crackers during the L’Fisher Hotel buffet Taste of Europe at their Ripples Restaurant. 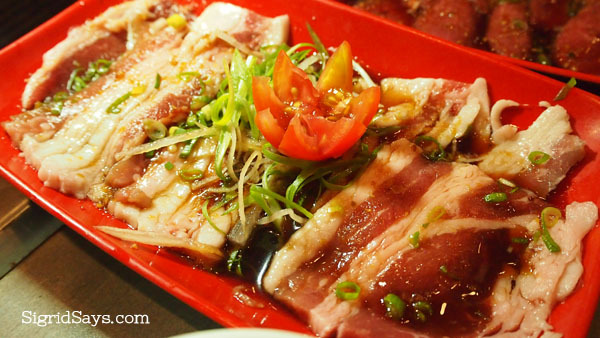 The Yakiniku Room of L’Fisher Hotel Bacolod has unlimited meat all you can at Yakiniku Room. Open daily from 11am to 2pm for lunch and 6pm to 11pm for dinner. L’Fisher Hotel is located at 14th-15th Lacson Streets, Bacolod City. It is one of the Bacolod restaurants that offer eat all you can yakiniku at P599 per pax + service charge. Inclusive of unlimited soup, rice, kimchi, and meats. Drinks not included. Seasoned beef belly ready to grill. 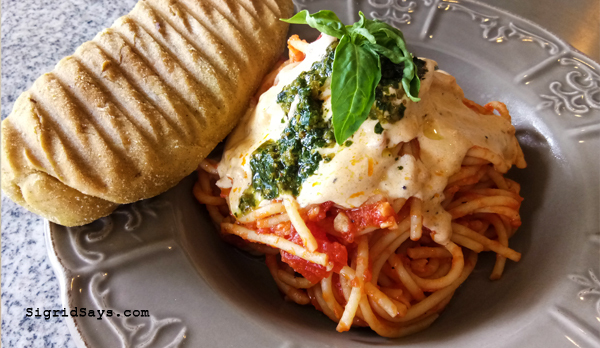 Italia Restaurant Bacolod serves fine Italian-Mediterranean dishes at Paseo Verde, Lacson St., Mandalagan, Bacolod City. They have a selection of wines, cheeses, and deli meats. Open daily from 11am to 11pm. For reservations, call (034) 7032978. 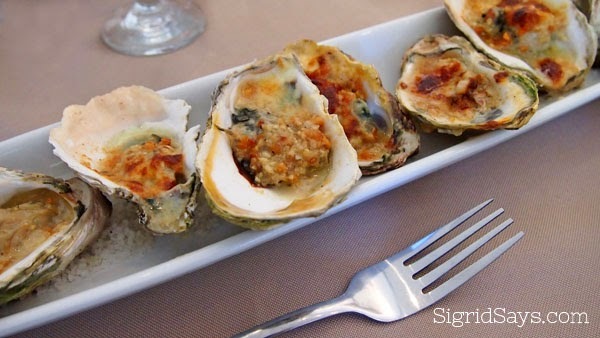 Baked Oysters Cesari. Pre-orders necessary because they get sold out very fast. Brewery Gastropub Bacolod has both pretty and good eats. Plus, they have more than a hundred kinds of local and imported beers and wines to pair. Visit them at Paseo Verde Bldg., Mandalagan, Bacolod City. Business hours: Sun – Tue: 4:30pm to 12:30am; Wed – Thu: 4:30pm to 1:30m; Fri – Sat: 4:30pm to 2:30am. Also visit, Brewery Gastropub Iloilo. 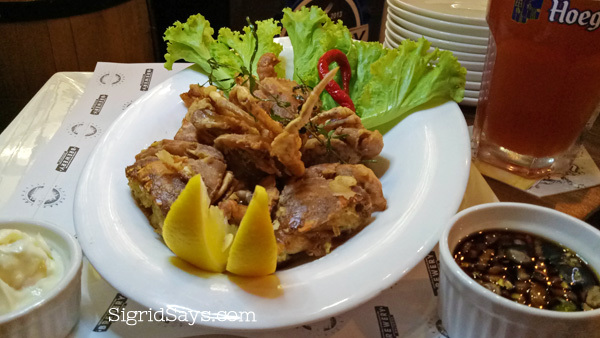 Soft-shelled crabs are seasonal at Brewery Gastropub Bacolod. If they are available, be sure to order them. 21 Restaurant is another one of the longest-serving and well-loved Bacolod restaurants. They serve lunch and dinner, as well as buffet spreads for small to medium gatherings. One of their most sought-after snack items is the batchoy. For reservations, call Tel. No. (034)4334096. Lengua with plain rice at 21 Restaurant. C’s the is pastry shop by L’Fisher Hotel, located on the right side of the hotel, along 15th-Lacson Street, Bacolod City. They serve the yummiest cakes, desserts, quality French breads, and gourmet sandwiches, pastas, and coffee. Open daily from breakfast time until 9pm. They recently opened Cs by Night. 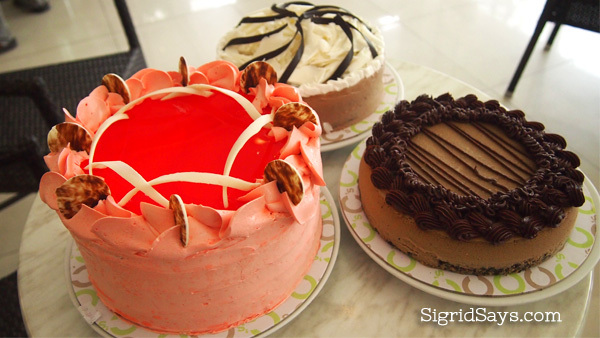 Three of the best yummy cakes at C’s Cafe by L’Fisher hotel. Aside from desserts, Felicia’s is also known for great steaks. They have a steak room at the DOLL Bldg., 6th-Lacson St. This is separate from their sweet shop. They also have a cafe at SM City Bacolod and at 15th-Lacson Streets. Open for lunch and dinner. Tel. No. (034) 433-6586 and (034) 709 1123. Felicia’s at 6th St. 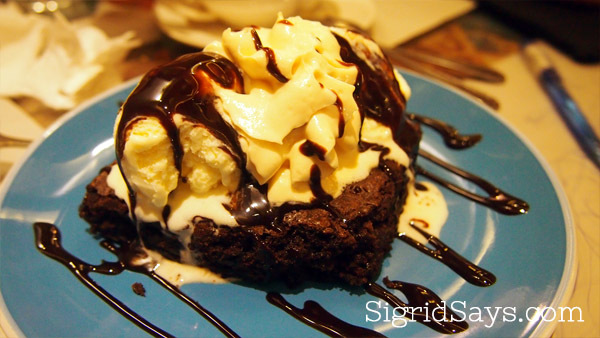 They also serve desserts at their branch at 15th-Lacson and at the G/F, north wing of SM City Bacolod. Pepe’s is a wonderful Bacolod restaurant with unique dishes. They have affordable steaks and other lovely meals like baby back ribs, barracuda with sauce, pastas, and salads. Serves lunch and dinner at the 2nd Floor of the Azotea Bldg., Lacson St., Mandalagan. 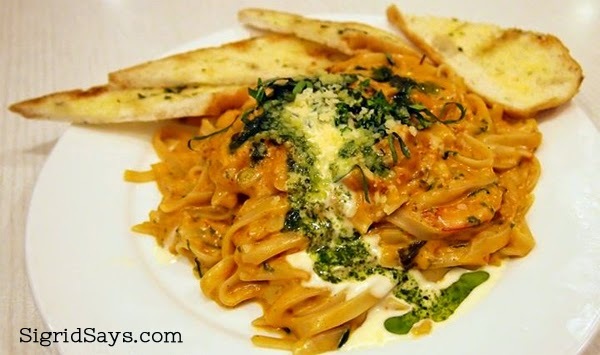 Fettuccine Gamberetti at Pepe’s–pasta with shrimps in crab fat sauce. Nom! Cookies ‘N Crumbs Cafe and Restaurant can serve the best complete meal from soup to dessert. Beautiful, homey interiors, too. Don’t miss the salpicao, spaghetti marinara, and many more. Visit them at Hi-Strip 5, Circumferential Road (near Lopue’s East Centre), Bacolod City. Open daily from 11am to 11pm. Mobile: 0922-827-2681. Credit card accepted. 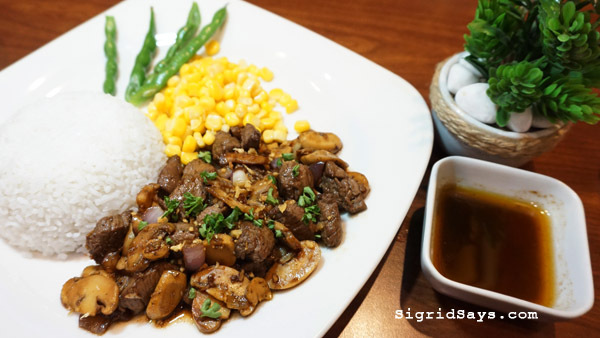 Really good salpicao at Cookies ‘N Crumbs Care and Restaurant..
365 Modern Cafe is a modern cafe serving lots of great comfort foods. Nice ambiance, too. Located at B.S. Aquino Drive, Bacolod City. Tel. No. (034) 435 2351. Credit card payments accepted. Piazza Blanca at 365 Modern Cafe. The Farmhouse is located at Door 4&5, May’s Organic Garden Bldg., Pahanocoy, Bacolod City. They serve all-organic dishes daily. (034) 460 1039. Opens 8am to 6pm. Cash only. The Trap Door is the only a speakeasy bar in Bacolod by Illusion Brewery. They have an extensive collection of locally made craft beers and good eats designed to pair with them. It’s a no smoking place. Open Tuesday to Sunday from 3pm to 2am. Located at 22nd-Lacson Streets, Bacolod City, just behind the Orange Karinderia and Pizza Republic. 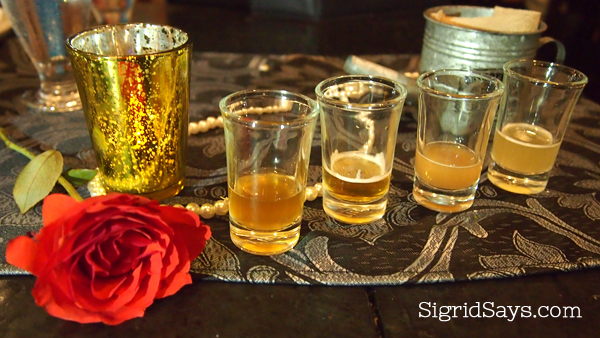 Beer samplers at The Trap Door help you decide what to order. Delicioso is a beautiful Bacolod restaurant, liquor store, and deli rolled into one. Must-try would be their pizzas, pasta, steaks, and of course, paella. They have a wide selection of wines, liquor, and beer, too. Open for lunch and dinner. Located at Lacson St. (2 blocks after Robinsons Place Bacolod going north), Mandalagan, Bacolod City. The Master’s Resto is the restaurant of O Hotel, located along San Sebastian Streets, Bacolod City. This is a Bacolod hotel restaurant, so they are open from breakfast to late in the evening. 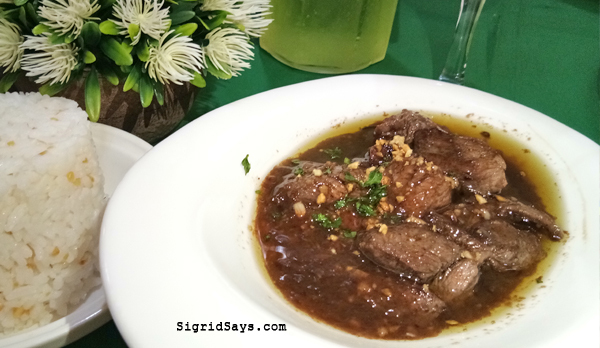 Best beef medium beef salpicao I have ever tried. Tel. No. (034) 433-7401. Beef salpicao at the Master Resto, O Hotel, Bacolod City. Also love their salmon salad. We also held my daughter’s baby christening a few years ago at the Master’s Resto. Balboa has affordable and good food. They have a corner for books and coloring pages for the kids so it’s a family-style Bacolod restaurant. Specialties are kare-kare, chicken in a basket, boneless bangus, pork sisig, their pizzas, and my personal favorite, the bacon steak. They are open from lunchtime till dinnertime. Located at the Mayfair Plaza, 13th-Lacson Sts. Bacon steak with mashed potato and vegetable sidings. But you can also have rice with that instead of mashed potato. Located at the old Pendy’s at 25th-Lacson Streets, Bacolod City, Mimi’s Cafe and Restaurant still serves the same old dishes. But we particularly like their batchoy and cheeseburger. 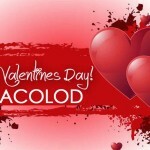 You can also buy select Bacolod pasalubong here, too. Open daily from 7:30am to 9pm. Tel. No. (034) 433 1106. 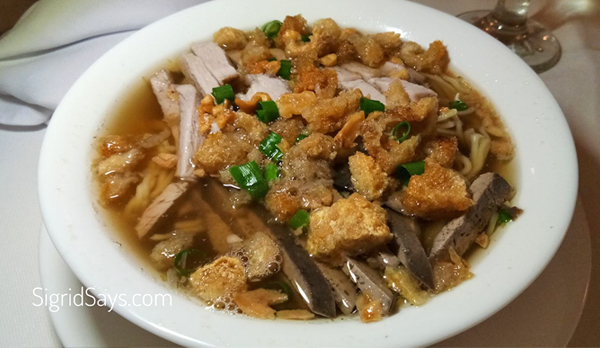 Batchoy at Mimi’s Cafe and Restaurant. 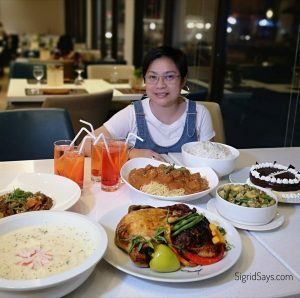 Nonna’s Kitchen is a homey Bacolod restaurant that serves all-time favorite Filipino dishes with a twist and some of the most delectable desserts. Located at Villa Angela Hi-Strip 4, Circumferential Road, Bacolod City. Tel. No. (034) 444 0672. Open daily 7am to 10pm. Juliana’s Cafe and Resto is located at 7th-Lacson Streets. It’s a beautiful, fully air conditioned Bacolod restaurant that serves affordable steaks and Filipino favorites. Open Tuesday to Sunday, from 11am to 10pm. Function rooms and catering services available. 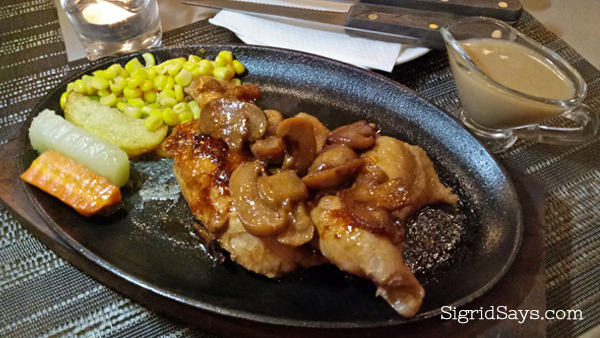 The sizzling boneless chicken with gravy at Juliana’s Cafe and Resto is a family favorite. 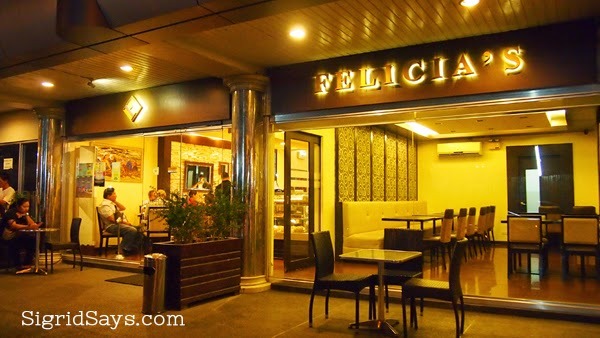 Felicia’s is known as a cakes and desserts place. 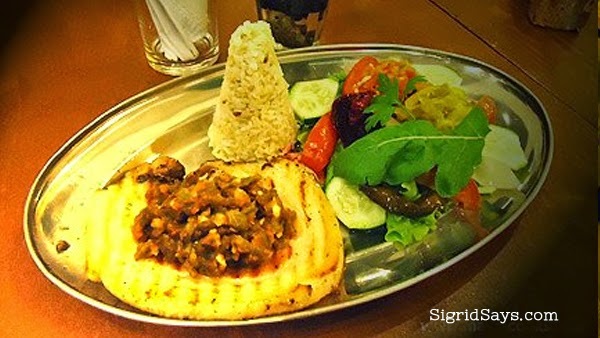 But they also have a wide array of satisfying steaks and fusion dishes. Located at 15th-Lacson Streets and SM City Bacolod north wing (in front of the atrium). Open daily for lunch and dinner. 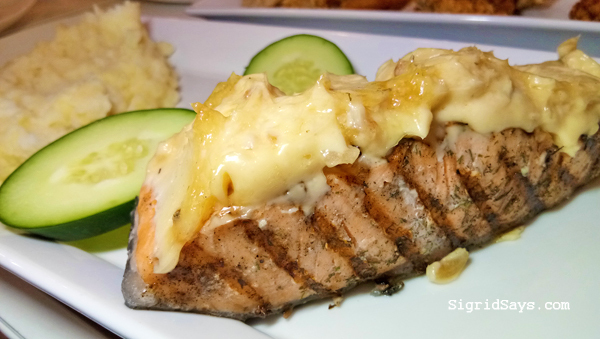 Salmon fillet with aioli remoulade. My personal favorite! Negros Museum Cafe is located within The Negros Museum building at Gatuslao St., Bacolod City. 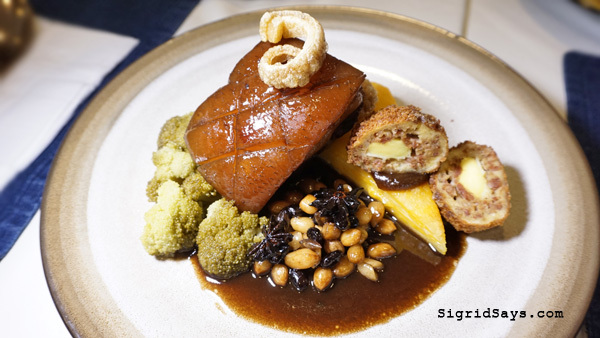 Designed by a Dutch chef and his Bacolodnon wife, they feature gourmet dishes made of local organic ingredients. Pork belly with a seasonal salad side dish, chutney, and brown rice. Tender and flavorful and oh-so-satisfying! 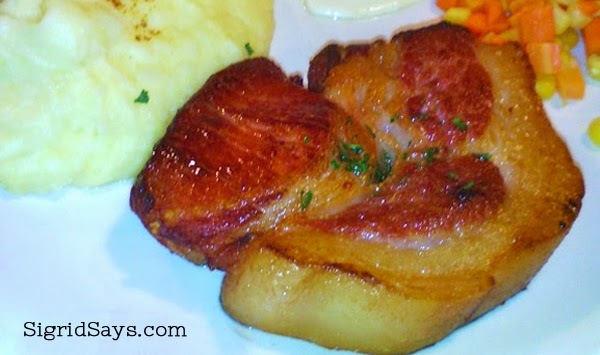 Jaimie’s Cafe serves delicious and comforting meals in a relaxed and cozy Bacolod restaurant. Visit them at Circumferential Road, Homesite, Bacolod City. Open daily for lunch and dinner. Function rooms available for small to medium gatherings. 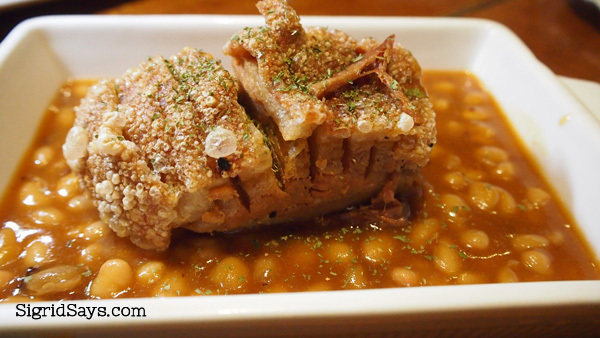 The pork and beans at Jaimie’s Cafe–my favorite. 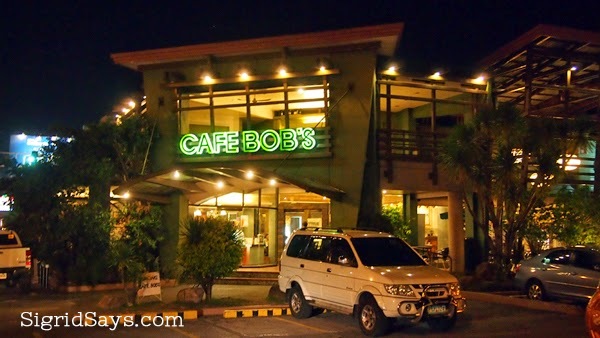 Cafe Bobs is one of the spin-offs of Bob’s Restaurants. It has a very nice place at 21st Lacson Sts, Bacolod City. 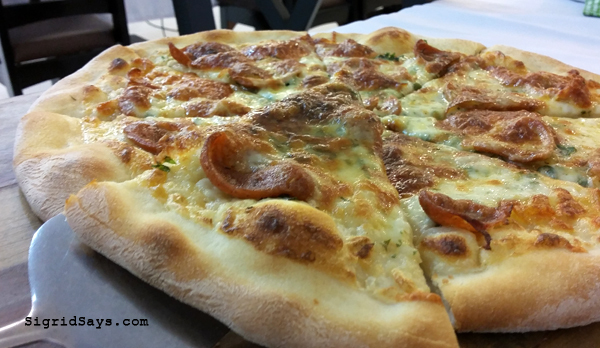 They serve all-time Filpino favorites as well as pizzas, sandwiches, and hot and cold coffees. They have an extensive collection of desserts, too. Plus they have a deli shop at the back. They are open for lunch until late in the evening. Cafe Bobs at 21st Lacson Sts. has parking on two sides of the building. 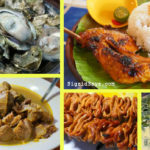 For my complete list of Bacolod restaurants and cafes, visit this link.